I've been waiting for years for Print-On-Demand technology to improve to the point that you can't tell when something's been printed that way, and it finally has. So I'm having fun releasing updated versions of designs I did a while ago, now that the tech is there to do them justice. 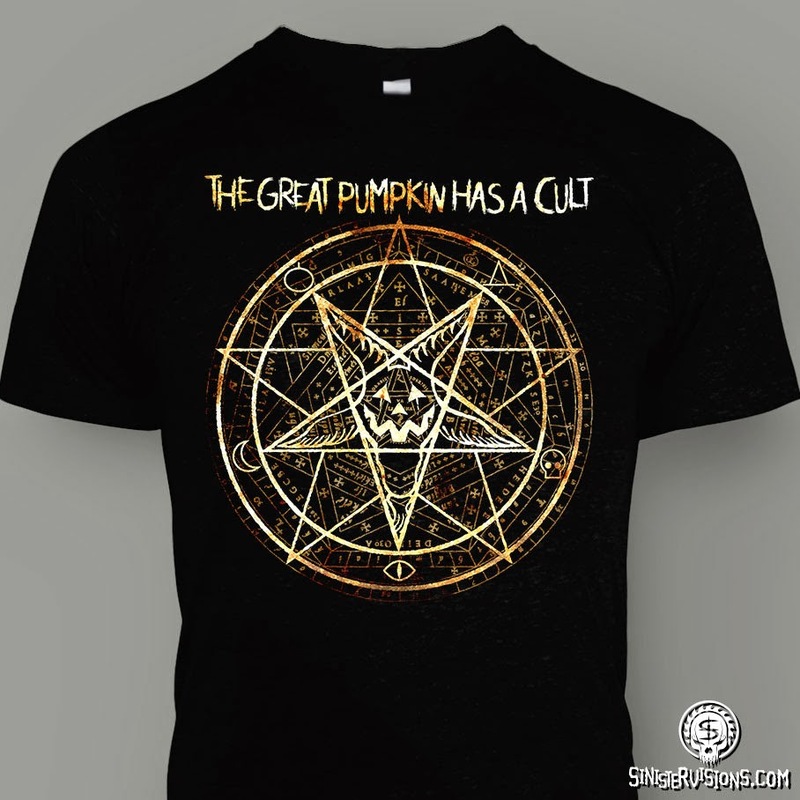 To wit, two new Cult of the Great Pumpkin t-shirt designs, augmented from much simpler versions from a few years ago that barely saw the light of day. Enjoy!